Annette joined Advantage Credit in August 2014. She has worked in the mortgage industry since 2012, where her roles included TRV processing, customer service, and client care. Annette has previously worked as office administration, technical support, and has been a certified massage therapist for over 20 years. 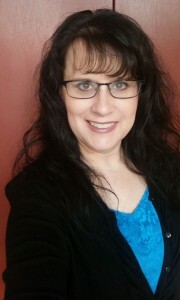 Annette enjoys the performing arts, is a wine and tea connoisseur, likes to travel, is a fan of the Nebraska Cornhuskers, and focuses on health and physical fitness. Annette currently makes her home in Colorado with her family.